This course is delivered over 2 days with 1-day pre-course work that is completed using the workbook and course book provided. 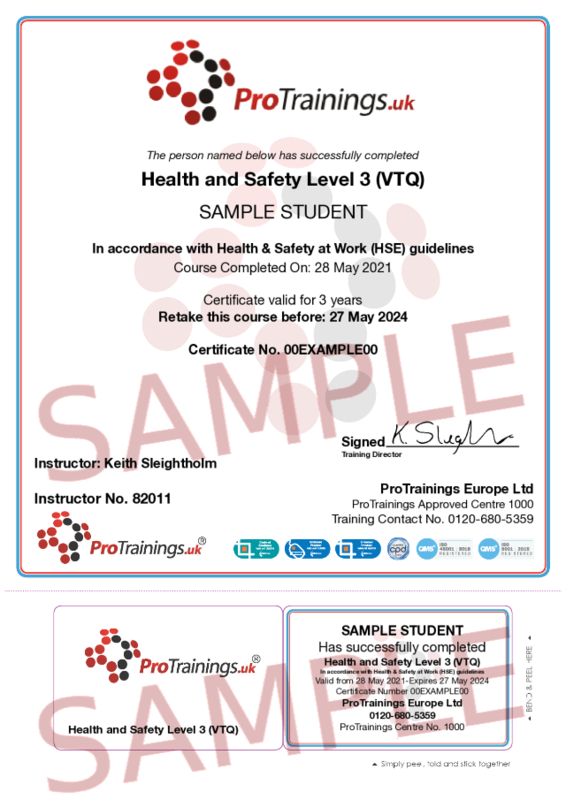 This qualification is aimed at those working or wishing to work as a supervisor in health and safety in the workplace. It gives the learner a wide range of skills and knowledge to equip them to confidently undertake health and safety requirements such as risk assessments and to deal competently with consequences arising from incidents that may occur. The course covers a wide range of health and safety subjects to cover all workplace settings. This qualification is aimed at learners already working in the capacity of supervisor, manager or team leader and also those who are preparing to start work at this level. Topics covered include legislation, the benefits of using a safety management system, the principles of risk assessments, hazards and risk control methods. This qualification is assessed by a multiple-choice examination. This course comes with 30.0 hours of CPD, although the time to complete the course online may be less than this.